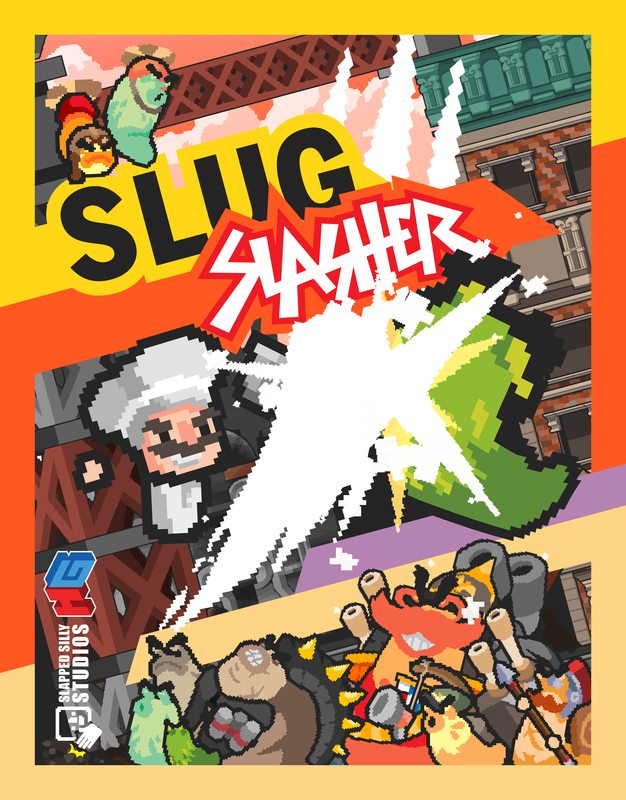 Slug Slasher is a 2D action platformer where the player takes on the role of a chef who must defend the world from an onslaught of giant slugs with only his trusty bucket of salt. Fight your way through crumbling cityscapes, the depths of the slug caverns, or even the glittering gastropod gladiator arenas of Slug Vegas—all the while smashing, dashing, and slashing your way through ridiculous enemies and crazy bosses! 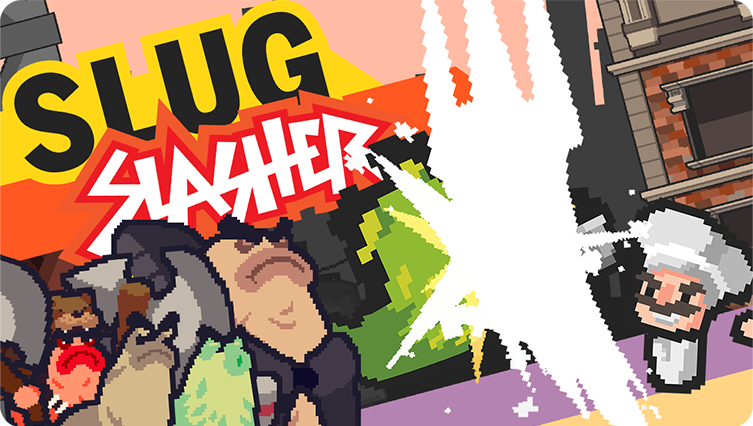 With vibrant visuals, satisfying and punchy sound design, and classic side-scrolling platformer beat-em-up gameplay, Slug Slasher is sure to charm even the saltiest of souls both young and old—so salt up your boots and get slashin' in this slime-packed adventure! 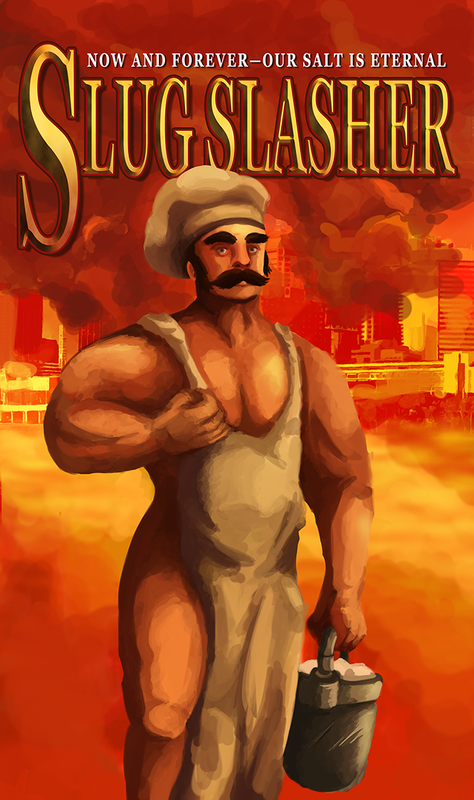 Slug Slasher started its life during the spring of 2017 as a project within Indiana University's student-run game development club Hoosier Games. 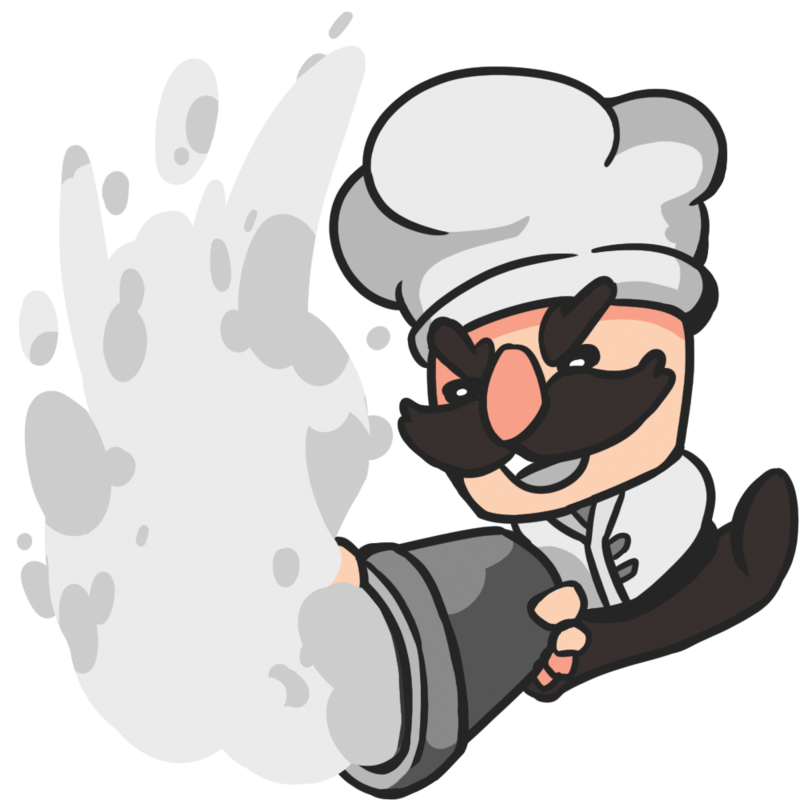 The team's three core members have continued development, aiming to release the game during the summer of 2018. 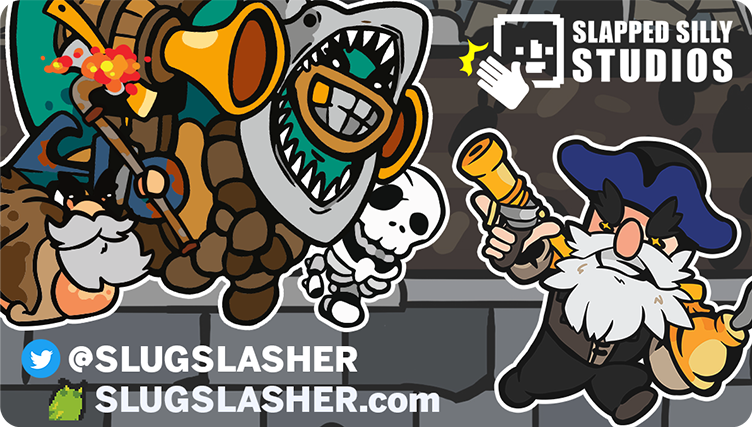 Appearing at Indy PopCon 2017, the 2018 Game Developers Conference, and the 2018 Midwest Gaming Classic, Slug Slasher has received a very positive response from players of all ages and skill levels. 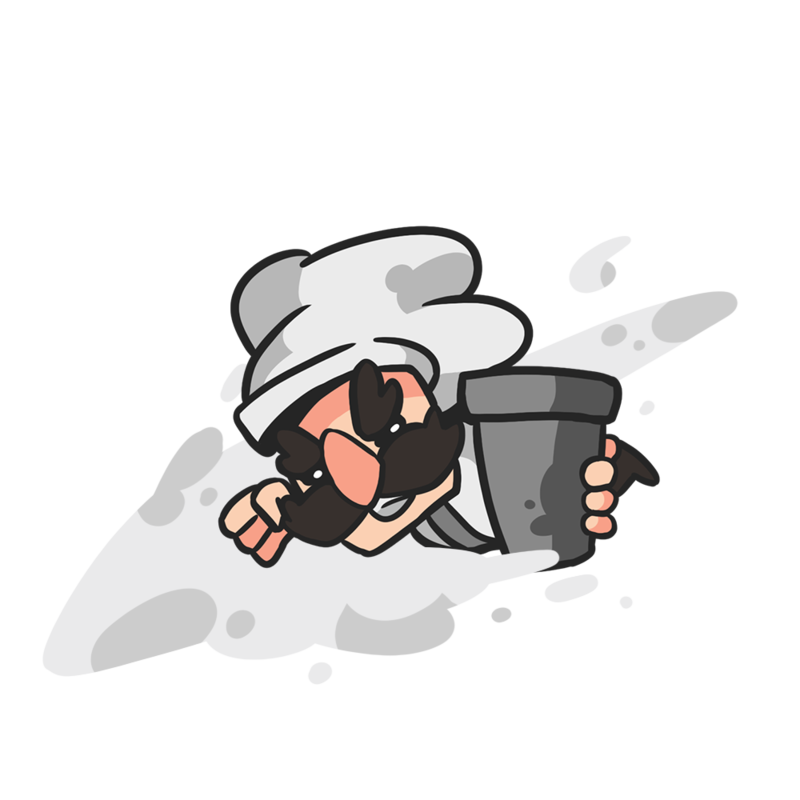 Few can resist the game's ridiculous, over-the-top charm and the sheer satisfaction of defeating hordes of enemies with an arsenal of salt-based attacks. 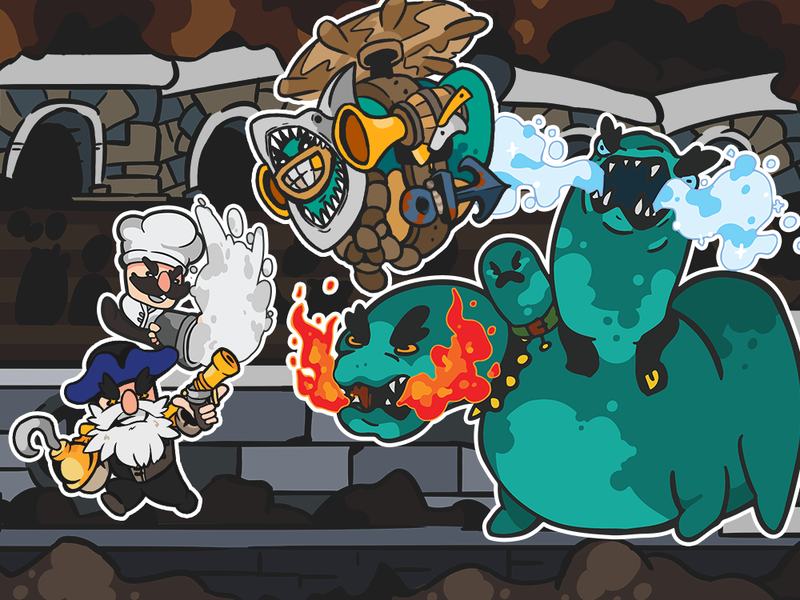 Slapped Silly Studios is a three-person student game dev team featuring programmer/artist Rajin Shankar, systems/level designer Dakota Erickson, and designer/producer Ryan Reske. The trio's first project, Slug Slasher, is poised for a summer 2018 release. More information on Slapped Silly Studios, our logo & relevant media are available here.